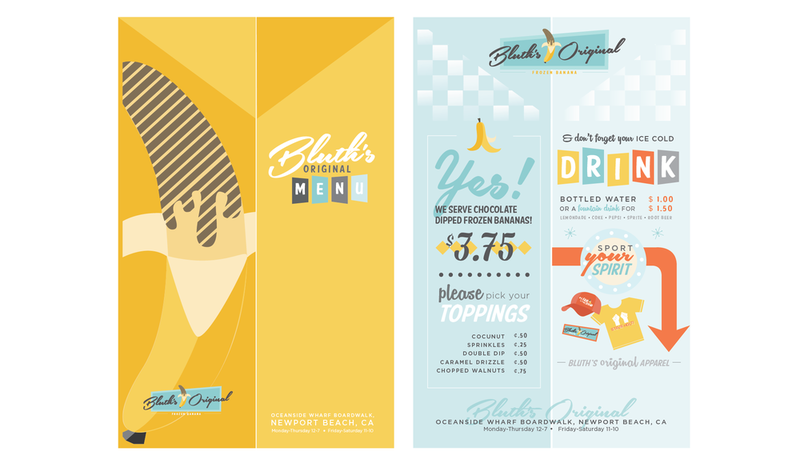 This rebrand aims to inject personality and identity to the quirky Bluth Company Frozen Banana Stand, a fictional business venture from the television show Arrested Development. 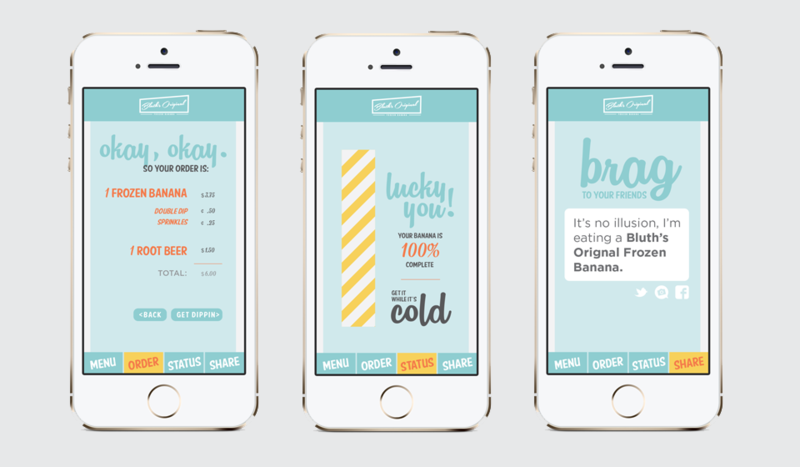 Deliverables include a primary and secondary mark, a grand re-opening poster, a redesign to the physical stand, a menu, packaging for toppings, as well as an app to streamline the ordering process. 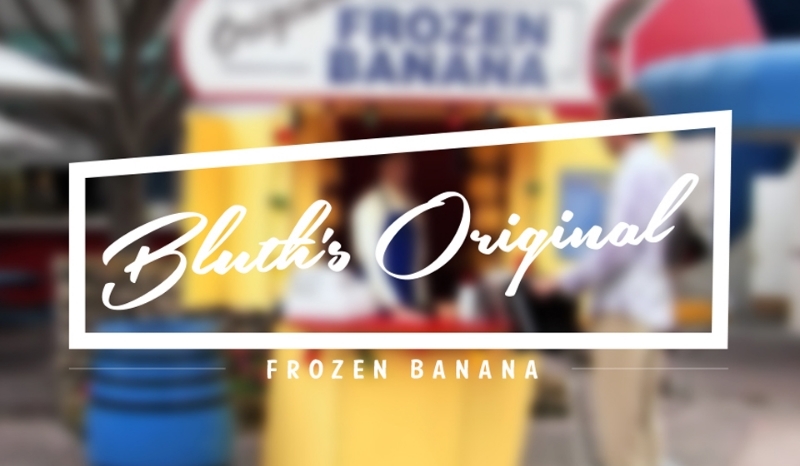 There’s always money in the banana stand.